Commencement Date: the date on which a Contract is formed in accordance with clause 2.3. Contract: the contract between EVERGREEN and the Customer for the supply of Services in accordance with these Conditions as a result of the Customer placing an Order on the Website. Customer: the person or firm who purchases Services from EVERGREEN via the Website. Dispatch Confirmation: has the meaning as described in clause 2.5. Force Majeure: has the meaning as described in clause 14.1(a). Input Materials: means those materials that require processing by the Customer, whether waste paper; cardboard or otherwise. Order: the Customer's order for the Services via the Website. Services: means those services specified in the Order. Evergreen : means Evergreen Facilities Management UK Ltd Limited registered in 112 Burcott Road, Avonmouth, Bristol BS11 8AF with registered number 3584085 and VAT Number 713019474. EVERGREEN Materials: means all materials, storage boxes, secure bins and other tangible property provided to the Customer in accordance with this Contract . 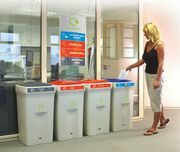 Website: the website www.evergreenshredding.co.uk or such other website from which we may provide the services from time to time. f) a “business” means a person who purchases the Services in the course of its business, trade or profession. A “consumer” means a person who is not purchasing the Services in the course of his or her business, trade or profession. 2.1 These Conditions apply to all Customers that purchase Services via the Website. If the Customer is purchasing the Services as or on behalf of a business, it will be subject to those clauses that are identified as applying to business Customers. If the Customer is purchasing the Services as a consumer, he or she will be subject to those clauses that are identified as applying only to consumers, but not those clauses that apply to business Customers. If a clause is not specified as applying to businesses or consumers, it shall apply to both. For an explanation of the phrases “business” and “consumer”, see clause 1.2 (f). 2.2 The Order constitutes an offer by the Customer to purchase Services from EVERGREEN in accordance with these Conditions and the Customer may only submit an Order using the method set out on the Website. 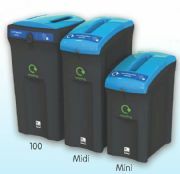 An explanation of the ordering process is set out in more detailed on the bottom of the website pages www.evergreenshredding.co.uk. 2.3 The Website allows the Customer to check or amend any errors before submitting the Order. It is recommended that the Customer takes time to read and check the Order before submitting it to EVERGREEN . 2.4 Having submitted an Order, the Customer will receive an email from EVERGREEN acknowledging receipt of such Order. This does not mean that EVERGREEN has accepted the Order. Acceptance of the Order takes place in accordance with clause 2.5. 2.5 The Order shall only be deemed to be accepted when EVERGREEN sends an email to the Customer of such acceptance (the “Dispatch Confirmation”) and a Contract between EVERGREEN and the Customer will only be formed when EVERGREEN sends a Dispatch Confirmation. 2.6 Any descriptions or illustrations contained on the Website or in EVERGREEN 's catalogues or brochures are issued or published for the sole purpose of giving an approximate idea of the Services described in them. They shall not form part of the Contract or any other contract between EVERGREEN and the Customer for the supply of the Services. 2.7 It is recommended that the Customer prints a copy of these Conditions for future reference. 2.8 If EVERGREEN is unable to supply some or all of the Services because they are no longer available or because of an error in the price on the Website, EVERGREEN will inform the Customer of this by e-mail and will not process the Order. If the Customer has already paid for those Services which are unavailable, EVERGREEN will refund to the Customer an amount which is equal to the amount of the unavailable Services. 2.10 Any quotation given by EVERGREEN shall not constitute an offer, and is only valid for a period of 1 calendar month from its date of issue. 2.11 If the Customer is a business, this clause 2.11 shall apply. The Contract constitutes the entire agreement between the parties. The Customer acknowledges that it has not relied on any statement, promise or representation made or given by or on behalf of EVERGREEN which is not set out in the Contract. 2.12 If the Customer is a business, this clause 2.12 shall apply. The Customer cannot cancel an Order which has been accepted by EVERGREEN except with the agreement in writing of EVERGREEN and on terms that the Customer shall indemnify EVERGREEN in full against all losses (including loss of profit) costs (including the cost of all labour and materials used), damages, charges and expenses incurred by EVERGREEN as a result of cancellation. 2.13 The Customer must be at least 18 years old to order the Services via the Website and, if the Customer is business, the person entering into this Contract warrants that they have the necessary authority to bind the Customer to this Contract. 3.1 EVERGREEN shall supply the Services to the Customer on the terms set out in these Conditions. In the event of any conflict between the Order and these Conditions, these Conditions shall prevail. 3.2 EVERGREEN shall use all reasonable endeavours to meet any performance dates specified in the Order, but any such dates shall be estimates only and time shall not be of the essence for performance of the Services. 3.3 EVERGREEN shall have the right to make any changes to the Services which are necessary to comply with any applicable law or safety requirement, or which do not materially affect the nature or quality of the Services, and EVERGREEN shall notify the Customer in any such event. 3.4 EVERGREEN warrants to the Customer that the Services will be provided using reasonable care and skill and will comply with BS EN 15713:2009 (secure destruction of confidential material). e) if EVERGREEN Materials are provided to the Customer, keep and maintain all EVERGREEN Materials at the Customer's premises in safe custody at its own risk, ensure that the EVERGREEN Materials are maintained in a good condition until returned to EVERGREEN and not dispose of or use EVERGREEN Materials other than in accordance with the EVERGREEN 's written instructions or authorisation. For the avoidance of doubt, all EVERGREEN Materials remain under the ownership of EVERGREEN ; ownership shall not transfer to the Customer despite the EVERGREEN Materials being left on the Customer’s premises. EVERGREEN is entitled to remove any and all of the EVERGREEN Materials provided it gives reasonable notice to the Customer and causes as little inconvenience as possible and makes good any damage to the premises of the Customer. 4.3 This clause 4.3. shall only apply to businesses. Under the Environmental Protection Act 1990, it is the Customer’s responsibility to ensure only the correct material is placed in the equipment provided for shredding services (including EVERGREEN Materials). In the event of contamination, material that cannot be recycled must be sorted. The Customer shall be liable for the cost of sorting and the shredding/recycling/disposal of this material at an approved rate. The Customer shall complete a waste transfer notice supplied by EVERGREEN when reasonably requested by EVERGREEN and the Customer shall pay any associated charges immediately. 5.2 Unless otherwise agreed in writing by EVERGREEN , the charges for the Services shall be as set out in the Order. The Charges do not include value added tax (“VAT”). The Customer shall, on receipt of a valid VAT invoice from EVERGREEN , pay to EVERGREEN such additional amounts in respect of VAT as are chargeable on the supply of the Services. 5.3 If the Customer is a business, this clause 5.3 shall apply. EVERGREEN may adjust or vary the Charges to cover any legislative, fuel, disposal cost increases or any other cost variables outside of the control of EVERGREEN . Any change in accordance with this clause shall be notified to the Customer as soon as reasonably possible. Any variation to the Charges will be subject to prior approval of the Customer which will be deemed as accepted unless written notice of non-acceptance is received by EVERGREEN within 30 days of the increase being notified to the Customer. 5.4 Payment shall be made via the payment section of the Website using SAGE pay or approved purchase orders. 5.5 This clause shall apply if the Customer is a business. Without limiting any other right or remedy of EVERGREEN , if the Customer fails to make any payment due to EVERGREEN under the Contract by the due date for payment (“Due Date”), EVERGREEN shall have the right to charge interest on the overdue amount at the rate of 4 per cent per annum above the then current Bank of England base lending rate accruing on a daily basis from the Due Date until the date of actual payment of the overdue amount, whether before or after judgment, and compounding quarterly. 5.6 This clause shall apply if the Customer is a consumer. If the Customer fails to make any payment due to EVERGREEN under the Contract by the due date for payment (“Due Date”) and EVERGREEN have given reasonable notice to the Customer that payment is overdue, EVERGREEN can charge interest on the overdue amount at the rate of 4 per cent per annum above the then current Bank of England base lending rate accruing on a daily basis from the Due Date until the date of actual payment of the overdue amount, whether before or after judgment, and compounding quarterly. 5.7 This clause shall apply if the Customer is a business. The Customer shall pay all amounts due under the Contract in full without any deduction or withholding except as required by law and the Customer shall not be entitled to assert any credit, set-off or counterclaim against EVERGREEN in order to justify withholding payment of any such amount in whole or in part. EVERGREEN may, without limiting its other rights or remedies, set off any amount owing to it by the Customer against any amount payable by EVERGREEN to the Customer. 5.8 If EVERGREEN cannot gain access to the Customer’s premises, materials or equipment or the EVERGREEN Materials as are necessary for the proper completion of the Services or is turned away from the Customer’s Premises without being able to collect or take delivery of materials from the Customer as required for the proper completion of the Services, EVERGREEN shall be entitled to charge a further reasonable fee for abortive collection or delivery. This clause is subject to the Customer having the right to suspend collection or delivery having given EVERGREEN at least 3 Business Days notice along with reasons for such suspension. 6.2 The Customer has a legal right to cancel a Contract under the Consumer Protection (Distance Selling) Regulations 2000) by notifying EVERGREEN during the period set out below in clause 6.3. The Customer can obtain advice about his or her legal right to cancel the Contract from his or her local Citizens' Advice Bureau or Trading Standards office. 6.3 The Customer’s legal right to cancel a Contract starts from the date of the Dispatch Confirmation and ends on the expiry of the period of 7 Business Days beginning with the day after the day the Dispatch Confirmation was sent by EVERGREEN . 6.4 To cancel a Contract, please contact EVERGREEN in writing to tell us by sending an e-mail to info@evergreenshredding.co.uk .You may wish to keep a copy of your cancellation notification for your own records. If you send us your cancellation notice by e-mail, your cancellation is effective from the date you sent us the e-mail. 6.5 The Customer shall lose his or her right to cancel the Contract as set out in clause 6.2 if he or she agrees to EVERGREEN providing the Services before the end of the cancellation period set out in clause 6.3. 7.1 All Intellectual Property Rights in or arising out of or in connection with the Services shall be owned by EVERGREEN . 7.2 The Customer acknowledges that, in respect of any third party Intellectual Property Rights, the Customer's use of any such Intellectual Property Rights is conditional on EVERGREEN obtaining a written licence from the relevant licensor on such terms as will entitle EVERGREEN to license such rights to the Customer. 7.3 All EVERGREEN Materials are the exclusive property of EVERGREEN . 8.1 A party (“Receiving Party”) shall keep in strict confidence all technical or commercial know-how, specifications, inventions, processes or initiatives which are of a confidential nature and have been disclosed to the Receiving Party by the other party (“Disclosing Party”), its employees, agents or subcontractors, and any other confidential information concerning the Disclosing Party's business or its products or its services which the Receiving Party may obtain. The parties acknowledge that the Input Materials shall constitute confidential information. The Receiving Party shall restrict disclosure of such confidential information to such of its employees, agents or subcontractors as need to know it for the purpose of discharging the Receiving Party's obligations under the Contract, and shall ensure that such employees, agents or subcontractors are subject to obligations of confidentiality corresponding to those which bind the Receiving Party. This clause 8 shall survive termination of the Contract. a) writing and data on the materials are destroyed as specified in BS EN 15714:2009. 8.3 EVERGREEN shall, where processing personal data on behalf of the Customer, ensure that it complies with the Customer’s reasonable instructions regarding that personal data. EVERGREEN shall ensure that appropriate technical and organisational measures are in place and shall comply with the seventh data protection principle as per the Data Protection Act 1998. In this clause, “processing” and “personal data” shall have the meaning given to them in the Data Protection Act 1998. 9.2 Nothing in this clause 9 shall limit or exclude EVERGREEN ’s liability for death or personal injury caused by its negligence, or the negligence of its employees, agents or subcontractors or fraud or fraudulent misrepresentation, or breach of the terms implied by section 2 of the Supply of Goods and Services Act 1982.
c) Subject to 9.3 (b), EVERGREEN ’s total liability shall be capped at £250,000.00 per claim or series of related claims in respect of loss of or damage to tangible property or loss, claims or damages arising from EVERGREEN ’s breach of contract, tort (including negligence) and breach of statutory duty. d) Except as set out in these Conditions, all warranties, conditions and other terms implied by statute or common law are, to the fullest extent permitted by law, excluded from the Contract. 10.2 Nothing in this clause 10 shall limit or exclude EVERGREEN ’s liability for death or personal injury caused by its negligence, or the negligence of its employees, agents or subcontractors or fraud or fraudulent misrepresentation, or breach of the terms implied by section 2 of the Supply of Goods and Services Act 1982. 10.3 Subject to clause 10.2, if EVERGREEN fails to comply with these Conditions, EVERGREEN is responsible for loss or damage the Customer suffers that is a foreseeable result of EVERGREEN ’s breach of these Conditions or EVERGREEN ’s negligence, but EVERGREEN is not responsible for any loss or damage that is not foreseeable. Loss or damage is foreseeable if they were an obvious consequence of EVERGREEN ’s breach or if they were contemplated by the parties at the time the Contract was concluded. EVERGREEN ’s liability for such foreseeable loss is capped at £250,000.00 per claim or series of claims. 10.4 EVERGREEN only supplies the Services for domestic and private use. The Customer agrees not to use the Services for any commercial, business or re-sale purposes, and (subject to clause 10.2) EVERGREEN has no liability to the Customer for any loss of profit, loss of business, business interruption, or loss of business opportunity. 11.2 Without limiting its other rights or remedies, EVERGREEN may terminate the Contract with immediate effect by giving written notice to the Customer if the Customer fails to pay any amount due under this Contract on the due date for payment (or if the Customer is a consumer within 7 days of the due date for payment). 11.3 Without limiting its other rights or remedies, EVERGREEN shall have the right to suspend provision of the Services under the Contract or any other contract between the Customer and EVERGREEN if the Customer becomes subject to any of the events listed in clause 11.1(b)) to clause 11.1(l), or EVERGREEN reasonably believes that the Customer is about to become subject to any of them, or if the Customer fails to pay any amount due under this Contract on the due date for payment (or if the Customer is a consumer within 7 days of the due date for payment). b) the Customer shall allow EVERGREEN or their servants or agents to recover from the Customer any EVERGREEN Materials which have been provided in accordance with this Contract. Until they have been recovered by EVERGREEN , the Customer shall be solely responsible for the safe keeping of EVERGREEN Materials and will not use them for any purpose. 13.1 The following procedures will be adhered to in all disputes under this Contract. 13.3 If any dispute cannot be settled in accordance with clause 13.2, the parties will attempt to settle it by mediation in accordance with the Centre for Effective Dispute Resolution (“CEDR”) Model Mediation Procedure. Unless otherwise agreed between the parties, the mediator will be nominated by CEDR. To initiate the mediation a party must give notice in writing ("ADR notice") to the other party to the dispute requesting a mediation. A copy of the request should be sent to CEDR. The mediation will start not later 10 Business Days after the date of the ADR notice. 13.4 Nothing in this clause shall limit the Consumer’s other legal rights to resolving a dispute. a) For the purposes of this Contract, Force Majeure Event means an event beyond the reasonable control of either party including but not limited to strikes, lock-outs or other industrial disputes (whether involving the workforce of EVERGREEN or any other party), failure of a utility service or transport network, act of God, war, riot, civil commotion, malicious damage, compliance with any law or governmental order, rule, regulation or direction, accident, breakdown of plant or machinery, fire, flood, storm or default of EVERGREEN s or subcontractors. b) EVERGREEN shall not be liable to the Customer as a result of any delay or failure to perform its obligations under this Contract as a result of a Force Majeure Event. c) If the Force Majeure Event prevents EVERGREEN from performing its obligations in a Contract for more than 12 weeks, either party shall, without limiting its other rights or remedies, have the right to terminate the Contract immediately by giving written notice to the other party. a) This clause 14.3 shall apply if the Customer is a consumer. If the Customer wishes to contact EVERGREEN in writing then it can do so by sending an email or pre-paid post to Evergreen Facilities Management UK Ltd Limited at the following address detailed 112 Burcott Road, Avonmouth, Bristol BS11 8AF - info@evergreenshredding.co.uk . If EVERGREEN has reason to contact the Customer or give him or her notice in writing, it can do so by email or by pre-paid post to the address details provided in the Order. a) This clause 14.4 shall apply if the Customer is a business. Any notice or other communication required to be given to a party under or in connection with this Contract shall be in writing and shall be delivered to the other party personally or sent by prepaid first-class post, recorded delivery or by commercial courier, at its registered office (if a company) or (in any other case) its principal place of business, sent by fax to the other party's main fax number, or sent by email. b) Any notice or other communication shall be deemed to have been duly received if delivered personally, when left at the address referred to above or, if sent by pre-paid first-class post or recorded delivery, at 9.00 am on the second Business Day after posting, or if delivered by commercial courier, on the date and at the time that the courier's delivery receipt is signed, if sent by fax, on the next Business Day after transmission, or if sent by email, one Business Day after the email was sent. c) This clause 14.4 shall not apply to the service of any proceedings or other documents in any legal action. For the purposes of this clause, "writing" shall include e-mails. d) EVERGREEN ’s email address is info@evergreenshredding.co.uk or such other address as may be posted on the Website as EVERGREEN ’s contact email address from time to time. a) This sub clause (a) shall apply if the Customer is a business. Any variation, including the introduction of any additional terms and conditions to the Contract or the Conditions shall only be binding when agreed in writing and signed by the EVERGREEN . EVERGREEN can vary these Conditions at any time by posting a notice of the variations on the Website. b) This sub clause (b) shall apply if the Customer is a consumer. EVERGREEN may vary the Contract or the Conditions without the Customer’s approval if it changes the method in which it accepts payment or if there are changes in relevant laws and regulatory requirements. If EVERGREEN does make such a variation in accordance with this clause 14.9 (b) then a notification of the same shall be made on the Website, along with the effective date of such changes and the Customer shall have the right to terminate a varied Contract.